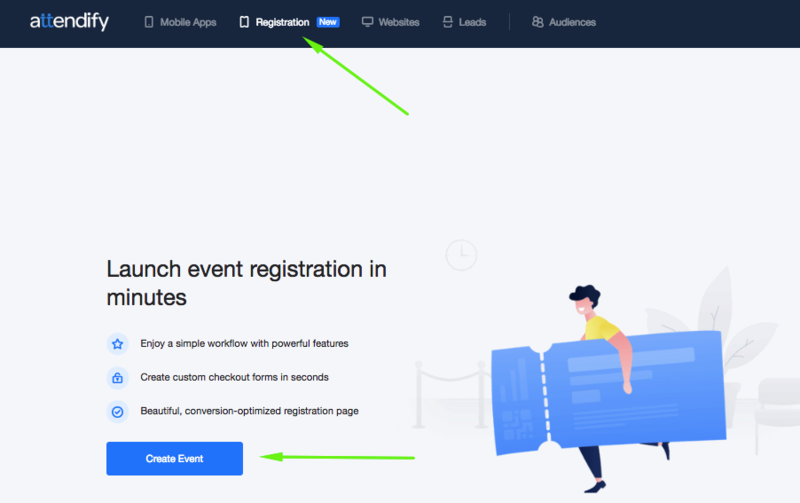 Learn how to set up a registration for your event in no time. On the Info step, add general information about your event and upload the event's branding. Note: You can preview your registration page at any point of the building process by clicking on the Preview button at the top right corner as shown on the screenshot above. 3. After you've added the tickets, you can move forward to the Checkout Forms. They will help you collect the important information about your event's registrants. You can use and customize the default Checkout Form that's being assigned to all tickets automatically or create a new one. Take a look at this article to find out more about Checkout Forms. 4. When you've finished adding content to your Registration, you can proceed to the Publish step and publish it. Feel free to contact the Attendify Support team via chat on any Attendify webpage if you have any questions.